We are spotlighting Help at Home Services as our Business of the Month! We were able to talk to the owner, Melissa Kuhn, to find out a little bit about the business and we are excited to share it with our visitors. 2. What led you to starting your business? Is there a good story behind how it happened? I had been working in health care and home care for several years and had gone into a different field of work. There was a local Home Care in town that had been in business for years and they stopped offering home care services and there was a big need in the community so decided to start up the business. 3. What does your business offer? We offer personal care services, cleaning, cooking, laundry, pet care, grocery shopping, rides to appointments by car or wheelchair accessible van. And much more! 4. Why do you enjoy serving the local area? I really enjoy helping people and giving them the opportunity to stay in their own home. Please provide us with any contact information you would like published on Shankland’s website & social media. Also, include your business logo. 2. What is the Club's history? A group of history minded people got together with the idea of preserving history and their childhood memories. This has lead to the club being a non-profit organization for the preservation-restoration and education about old things. 3. What does your business offer? If you are a history buff or collector of old things, it offers a place or group of people to share a common interest. We have a meeting once a month on the second Thursday and in warm weather, every Monday night is work night and Labor Day weekend is a 3 day show to exhibit your hobby. 4. Why do you enjoy serving Charles City, IA? If you want to view someone else's collection you may attend the Labor Day weekend and see static and working collections. 1) What year did PAWS Humane Society begin? PAWS Humane Society originated in 2000. Former city clerk, Jody Meyer and Jim Thompson proposed starting a no-kill animal shelter to the city council to have a humane alternative for stray dogs and cats picked up by the police department and animal control. Prior to PAWS, stray animals were held for 7 days and then euthanized. 2) When did you become involved with PAWS? I first came to the shelter in 2002 to adopt a cat named "Mac" (his feeding spot was the McDonald's dumpster). I immediately began volunteering cleaning dog cages, later that year I served on the Board of Directors and eventually was in the role of managing the shelter. Saving & helping animals is something that goes back to my childhood. I feel very fortunate to every day do what I love and to be the voice for animals in need. 3) What are the hardest challenges doing animal shelter work? For me personally, the hardest thing is knowing we can't save/rescue every animal in need. We accept all strays within the city limits brought in by Animal Control & CCPD but I receive daily calls of animals outside Charles City and we simply can not help them all. There are so many litters of kittens born outside. I wish cat owners would spay/neuter and keep their cats inside. There are so many dogs within Charles City chained outside every day with little or no human contact. 4) What are the biggest rewards volunteering at PAWS? Helping animals who come in scared and alone get the shelter, food, veterinary care & love they need is very rewarding. Being a part of finding a loving home is even better. Getting updates and pictures from adopters years later is amazing. The quality of our veterinary care by the vets at Avenue of the Saints. That we've remained a no-kill shelter since we started. And I'm most proud of our volunteers who are so giving of their time & hearts. We are spotlighting Stewart Realty Company as our Business of the Month. 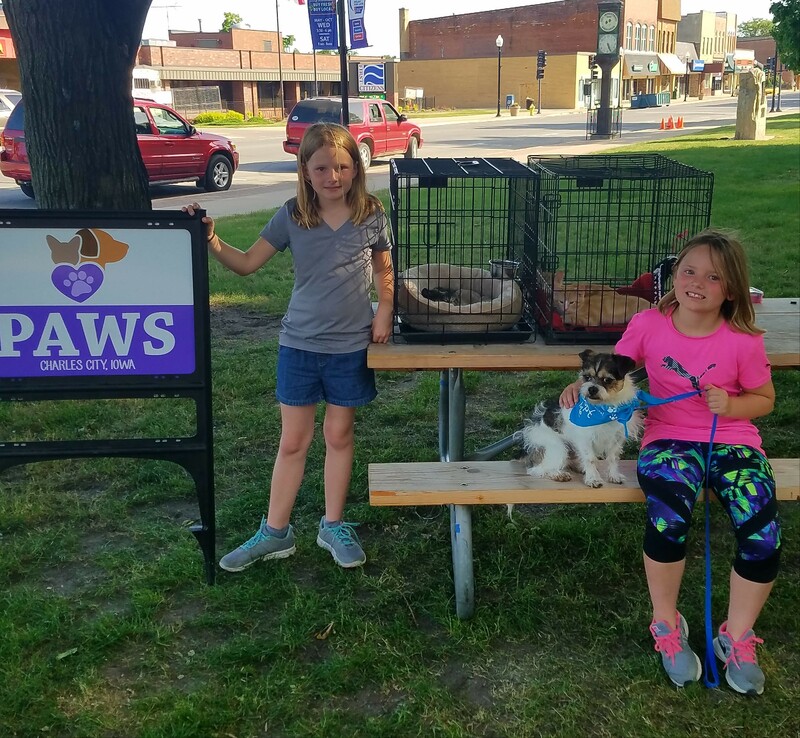 This Charles City local business opened its doors a few years ago and is located in the heart of its community! We were able to talk to the owner, Dean Stewart, to find out a little bit about them and we are excited to share it with our visitors. Stewart Realty Company opened for business in the Fall of 1987 as a one man real estate office. Larry R. Stewart was the owner/Broker at that time. Dean A. Stewart, present Owner/Broker purchased the firm in 2008. As the son of a real estate broker, I always had interest in the real estate business. While in Junior High School I started cleaning, painting and maintaining real estate properties and continued that throughout my college years. While at the University of Northern Iowa I received a BA in Business Finance and a Minor in Geography anticipating that I too would start a real estate career. I joined the firm in 1988 and have been brokering real estate ever since. Stewart Realty Company offers professional real estate brokerage services in the areas of residential, commercial, agricultural, development property and leasing. 4. Why do you enjoy serving Charles City, IA? Charles City and Northeast Iowa is a fantastic place to live work and play. AT Stewart Realty Company we believe the more you give the more you get back and we consider it a privilege to be a part of such a healthy and dynamic area. I’m very proud of the agents and staff at Stewart Realty not only in terms of their hard work ethic but I also admire their volunteerism that they are continually a part of. This month we are spotlighting Pharma Comp LLC as our Business of the Month! Kirk Schoeck, the owner, has taken time to answer some questions for us. Shankland Insurance enjoys sharing information about our local businesses with our customers and visitors. I started my business in July 2016. I wanted to do something different than I had been doing for the previous 20+ years. My entire career has been spent working for someone else and making them successful. My goal is to create something that will allow a work – life balance favoring my family. I enjoy being able to select the companies or projects that I partner with and support. I have been able to work on several interesting projects since I started Pharma Comp, the most recent one being a plant start-up for a cancer immunotherapy drug for humans. 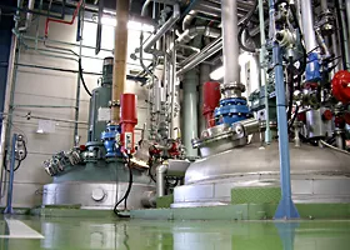 Pharma Comp offers a full range of consulting services, including project management, engineering design, and safety and regulatory compliance. Charles City and the surrounding communities have a strong industrial influence. There are plenty of opportunities and partnerships to be explored. Please provide us with any contact information you would like published on Shankland’s website and Facebook page. This August, we are spotlighting Ackerson Rentals as our Business of the Month! This Business is located in Charles City, Iowa. 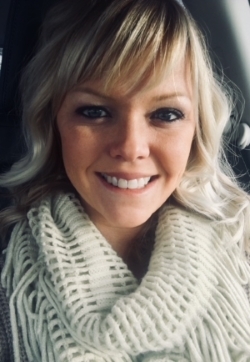 We were able to talk to, Stacy Ackerson, to find out a little bit more about this wonderful business and share it with our visitors. When my wife purchased the old train station for her insurance company we were looking to do something out back with the property. It so happened there were footings already in the ground so building rental units seemed to be a natural choice for us. Long term or short term, depending on your need, storage rentals. 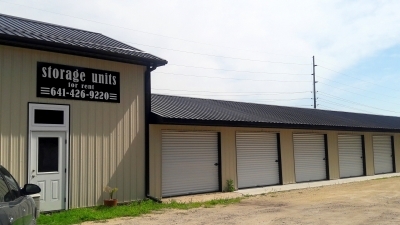 The units are 11x21 feet with a cement floor, roll up garage door which you secure with your own lock. It seemed the community needed more rental units as the ones available were pretty much all full. So far the experience has been a positive one. We are located at 1006 N Grand, office number 641-228-7436, cell number 641-426-9220. This month we are spotlighting Tombo Studio as our Business of the Month! 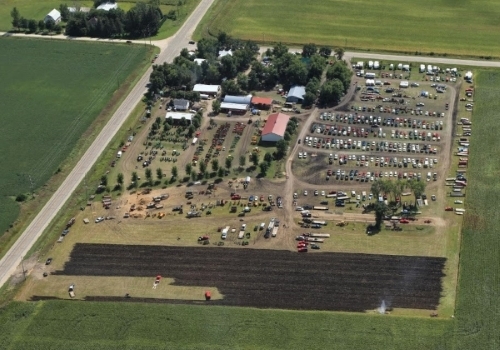 This local Business opened its doors in 1997 in Texas, now located in Charles City, Iowa. We were able to talk to the owner, Emily Kiewel, to find out a little bit more about her business and share it with our visitors. I opened for business in Charles City in 2008. I discovered pottery while in college and knew I had found what I wanted to do with my life. While living in Kyoto, Japan I trained with a very skilled potter. When I returned to the U.S. I opened my business. 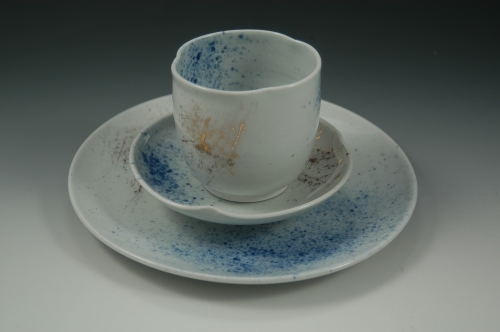 Handmade functional pottery with clean modern lines. Made from non-toxic materials, all items are completely food and dishwasher safe. Charles City provides a safe place to raise my children, a community of people that are a joy to connect with and a quiet place where I can create, inspired by my surroundings. Retail Shop: Located at 3010 230th St, Charles City. Open M-F 9-5, but please call first to make sure I'm available, 641-426-0174. Saturday and Sunday by appointment. This April we are spotlighting, Do It All Service LLC, as our Business of the Month! This local business is located in Charles City, Iowa. We were able to talk to the owner, Brad Cole, to find out a little bit more about his business and share it with our visitors. I started this business because I saw a need for a handyman in town. I enjoy fixing things, seeing where the project started and where it ends (the process) all while helping people at the same time. My mom and dad moved to town in the summer of 2009 and I remodeled their house and Do It All started by changing light bulbs and hanging curtain/blinds up for my first couple jobs. We were a handyman business but blossomed into a full blown construction/landscape business. Everyone in the crew loves the challenge of daily aspects of the business. Do It All currently offers commercial and residential service. You name it we can do it, just give me a call. Here is a list describing some of the jobs we offer. Landscaping; pavers, retaining walls, fresh mulch, lawn mowing, sidewalk edging, aerating lawns, dethatching, hedge trimming, minor tree trimming/removal, spring and fall cleanup, skid loader work. Remodels; bath, kitchen, basements, house. New homes, garages, sheds, and additions. Handyman items; windows, doors, siding, decks, concrete, painting, drywall (new, patch or repair), ceramic tile, custom showers, trim work, power washing and gutter clean out. NO job to small! Helping people, beautifying our Hometown, changing people's daily lives, and the challenge of whatever the job is. Name of Non-Profit: Hope House Inc. The Hope House Board has provided the following information. On July 1, 1980 Hope House Alano Club was born. Many members wished for more meetings per week and this was not feasible because of conflicting meetings at the American Legion, where they were currently meeting. We learned the I.C. Rectory was going to be raised (torn down) and members who were interested, talked to the I.C. Board and reversed the raising order. I.C. let us use it for paying the expenses of running the Hope House. In November 2000 we moved to a temporary house (also owned by the I.C. Church), because the I.C. 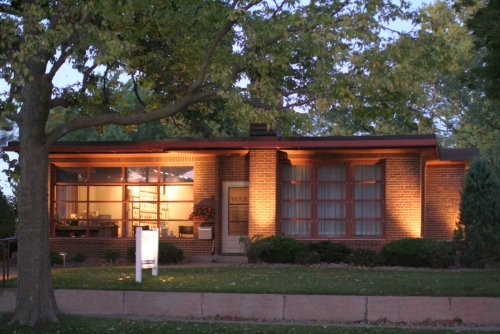 Rectory was needed for expansion of the I.C. Schools. In July 2001 the Hope House purchased an empty lot from the City of Charles City and using a whole lot of volunteer elbow grease and donations, a dream had become a reality for the groups that utilize the Hope House. We held an Open House on Sunday, April 14, 2002. Since no individual 12-step group is allowed to own property, it is necessary for Hope House Inc. to support and furnish facilities for all 12-step groups meeting in the Charles City Area. The purpose of the Hope House Inc. is to provide a meeting place for all recovering chemical dependants, various 12-step programs, and their families. Hope House is a tax-free and non-profit corporation and any contributions will be tax deductible and anonymous, if so desired. Hope House feels this is a necessary community service. The Hope House offers several 12-step programs with meetings held nearly every night. Privacy and confidentiality are of primary concern, the touchstone of the philosophy at Hope House. To find out more about programs available and scheduled times, the Hope House can be contacted in the evenings at 641-228-7453. The Hope House is located at 805 Wisconsin Street, Charles City. This November, we are spotlighting Darbe & Co. Boutique as our Business of the Month! This local Business opened its doors on February 16, 2013 and is located in Charles City, Iowa. We were able to talk to the owner, Deb McNeilus to find out a little bit more about her business and share it with our visitors. My husband (Jim), Joan Semelhack & I had been remodeling, painting & decoration since Nov 12, 2012. I was so nervous about opening, major procrastination was my mission! One day Jim & Joan said “It’s time… we open next weekend!” February 16th we did just that! Not a “good” story… I worked for 12 years with Brian Crane at Growth Properties LLC at 206 N Main St. Main Street was my 2nd home. Brian passed away in 2011 & the business was sold in the spring of 2012. No-one wanted me to leave Main Street so I began the search for a building. Karen Eggert & her mother (by way of a secret Santa) said they would sell me this building because Main Street needed more retail. The Darbe & Co. Boutique just evolved… From the very first phone call & meeting I felt “led” through this whole process. Even when I wanted to back out & give up, the Good Lord made me keep going. It must have been what I was meant to do in my “golden years” as I love it here. It’s my second home. We offer something for everyone! Darbe offers fashion for women & children, shoes, accessories, gifts, WINE & so much more! Every Season brings something new when shopping in Chicago & Minneapolis. We try to offer big city style & personal comforts at accessible prices. We like to think we are a local destination & national trade secret for women seeking high value style. We offer hometown personal service, tasteful, sophisticated class, with a fun attitude! Text DARBE to 36000 & confirm with a “Y” …Bring in your cell phone to show us & get $5.00 off your order!! *Darbe has also expanded & now offers an exclusive line of clothes “one” week out of every Season. Watch our Facebook site for dates! This October, we are spotlighting Grand Avenue Business Center as our Business of the Month! This local Business opened its doors on January 1, 2016 in Charles City. We were able to talk to the owner, Dennis Donovan, to find out a little bit more about his business and share it with our visitors. The Grand Avenue Business Center opened on the first business day of 2016. I got possession of the building on October 1, 2015 and the remodeling crew started on or about October 5th and worked steady right up to the week before Christmas. Two businesses moved into the North Grand Business Center between Christmas and New Years and one more has moved in since then. I moved to Charles City in September 1991 to manage the tax department for another CPA firm. After a few years, the other firm offered to sell me the tax and accounting portion of their practice. Later, I purchased an office building on Gilbert Street to house my practice. At that time, I was pretty much a one man office with some part time help. Since then, I have added three people to my staff. We had just finished the 2014 tax season and I learned that this building was being offered for sale. I thought that the building would make a fantastic office complex for new and existing businesses here in Charles City. The location is great and the structure and the appearance of the building are second to none. 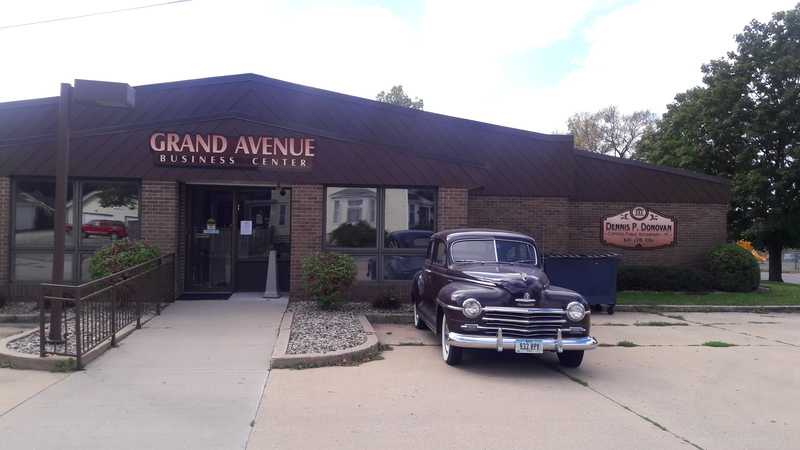 The Grand Avenue Business Center offers professional businesses an opportunity to rent office space at an affordable price and get the exposure they need to build their business from the traffic entering the business center. There are times that I have a client looking for an attorney to help them with their estate planning or someone with an investment background to help with their financial planning and other areas of concern that it would be helpful to have another professional in the building to meet clients’ needs. One business complements the other. It’s a Win, Win for everyone. I enjoy working and serving the Charles City area because of the opportunities Charles City has to offer. We are “America’s Hometown” a city with the small town atmosphere with the big city opportunities. It’s people helping people. Last week’s flooding is a perfect example. We survived the flood because of the volunteer efforts of the community. It’s people helping people. I can’t think of a better place to have a business. With today’s technology and our great highways our location is not an issue while working with clients outside of the community. This September, we are spotlighing Black Sheep Coffee Baa as our Business of the Month! This local coffee shop just opened its doors on August 24 and is located in Greene, Iowa. We were able to talk to the owner, Connie Debner, to find out a little bit more about her business and share it with our visitors. Make sure to go check out Black Sheep Coffee Baa for some delicious coffee and food! 1. When will your business be open? Are you planning a grand opening event? We opened our doors on Monday, August 24th. We will be scheduling a grand opening in September. 2. What led you to starting your business? Is there a good story behind how it happened? How did you come up with the name? I have always loved food service and when the previous owner, who knew that, determined that she was not able to continue running the business she offered it to me. It will be a great place for our teenage daughter to learn and socialize, and it is also the realization of a dream for me. We were trying to come up with something unique and relevant to our family for a name. My husband raises sheep and black ones always stand out from the rest. Also, it is symbolic of second chances, a real theme in my life, personally! 3. What will you offer at the coffee shop? 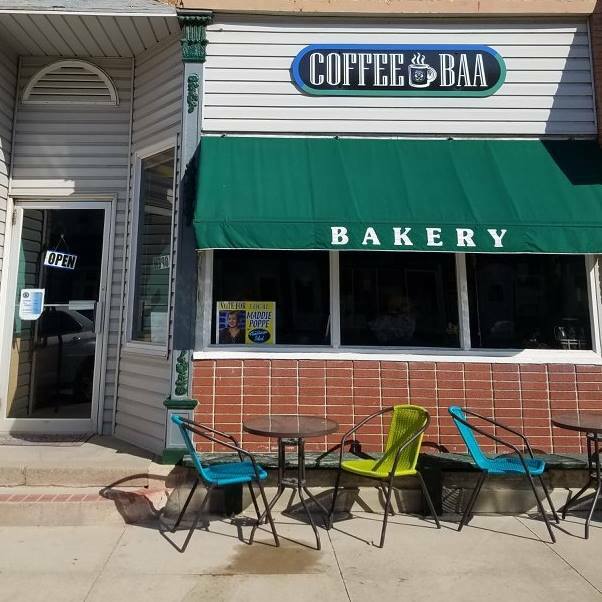 We will serve top of the line, locally roasted coffee, various coffee-house drinks, fresh baked items, Hansen's Dairy ice cream, and light/healthy breakfast and lunch items on a limited basis. 4. Why do you enjoy serving Greene, IA? Greene is full of the most amazing people. Each one has a story and it is going to be amazing to be in a position to hear many of those on a daily basis. Stop by Black Sheep Coffe Baa as soon as you can! Also, check out their Facebook Page.